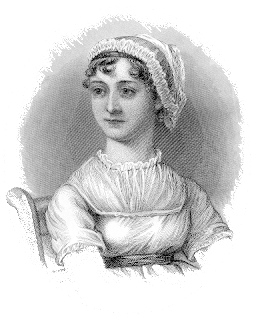 Beloved English novelist Jane Austen treasured her manuscript of Lady Susan, though it was forgotten by all and almost never saw the light of day. What was she thinking when she wrote a clever novel of adultery, cruelty and betrayal that might have seriously damaged her own reputation? Why do scholars today dismiss Lady Susan as a minor work of little interest? And what does the tale reveal about the Author that everyone is so anxious to keep quiet? This award-winning documentary explores the strange literary destiny and merit of Jane Austen’s most controversial work. Cast: Joan Klingel Ray, Ph.D, Martha Stoddard Holmes, Ph.D, Linda Damita. We will watch this short film, complete with movie popcorn, and have a lively discussion about this “not quite in the canon” epistolary novel. Attendees are welcome to read favorite excerpts from the novel. And, we have a short dramatization from JASNA’s script bank for those who want to exhibit thespian talent! All this will prepare us for next year, when lovely, manipulative, dangerous to know Lady Susan Vernon meets the big screen: In 2016, a feature film called Love and Friendship, based on Lady Susan, starring Kate Beckinsale, Chloe Sevigny, Xavier Samuel and Stephen Fry, will be released. It’s a great time to read (or reread) this short novel. Or, just come to our September meeting and learn all about it! This meeting is open to the public. Please feel free to invite your friends!